Don Gardner is the owner of Home Inspection Experts. He is licensed and certified in the state of WA. His extensive experience in home building spans more than 25 years. Don’s inspection skills have been honed by his vast understanding and knowledge gained from the many years in the construction industry. 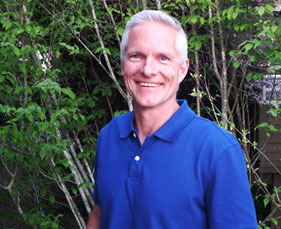 He has developed and built hundreds of custom and spec homes, condominiums, apartments, duplexes, plats, and residential lots throughout the Puget Sound area. He is well versed in building codes and industry-standard building techniques from the foundation up. Don brings his expansive knowledge and a thorough solution-driven approach to each home inspection. His warm, out-going personality makes him a pleasure to work with. With the customer’s best interest in mind, Don freely shares his open and honest findings to problems discovered. Don’s attentiveness to detail and reporting accuracy combined with his ability to clearly communicate provides you with the information you need to make a highly informed home buying decision. *I am proud to be a member of the International Association of Certified Home Inspectors. This ensures that I adhere to a strict code of ethics and participate in ongoing education. I hired Home Inspection Experts to perform a pre-sale inspection on my home. Don was such a pleasure to work with. He pointed out a number of problems that needed attention prior to putting my home on the market. I took his advice and my home sold quickly without any problems. I couldn’t have been more pleased. I highly recommend Home Inspection Experts! Dorothy B.
Hi Don, thank you so much for taking the time to explain the details in your written report. I really learned a lot about houses. I will not hesitate to recommend Home Inspection Experts to my friends and family. Susan Z.